Reprint. "Return to Percy Jackson's world"--Front cover. Originally published: 2017. 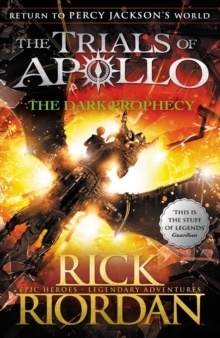 The second book in the latest series from international bestselling author, Rick Riordan He was once an immortal God, now he's an awkward teenager. Things aren't going well for Apollo. There's only one way he can earn back Zeus' favour, and that's to seek and restore the ancient oracles - but that's easier said than done. There are a few things standing in his way though. The cave could kill him, or drive him insane. Oh, and a Roman Emperor, whose love of bloodshed makes Nero look tame. To stay alive, Apollo needs the help of a mortal goddess, a bronze dragon, and some familiar faces from Camp Half-Blood.